There's been a bunch of buzz about this book in the six months since its announcement. Aside a hearty helping of hyperbole, however, we've had next to nothing to go on: only an unsettling excerpt about a girl who loves "learning about spelling and sums and the world outside the classroom" evidently being kept in captivity; and the fact that M. J. Carey is an ever-so-slight pseudonym for the author of the five Felix Castor novels and any number of awesome comics, not least Lucifer and more recently The Unwritten. Well... I'm not going to tell you yet. But I was curious, to be sure. With Orbit asserting that The Girl With All the Gifts will be its "biggest cross-over launch ever," I expected loads more from the marketing department; a blogosphere blitz featuring lengthy excerpts and the like. Instead, the crux of the campaign to date has been an assurance that this book would be worth the wait. And it is. 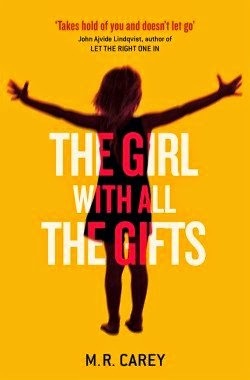 From the magnificent moment when what was actually going on dawned on me right through to the bleak but beautiful conclusion Carey has crafted, The Girl With all the Gifts is terrific. If you were wondering whether or not to bother with it, know now that there's no question. Buy a copy and avoid the internet at all costs. Don't even read the rest of this review! By now you've got to be pretty curious too. Thus, this is your final warning, folks. Going forward, there'll be no avoiding spoilers. Most humans have given up hope in the years since the Breakdown, but Dr. Caldwell still believes there are answers to be had, so with the assistance of the army, she keeps these uncanny kids under lock and key in a secure facility many miles away from the nearest surviving settlement. There, they go to what passes for class each day, before being wheeled back to their bedrooms by armed guards. At weekends they eat worms, and once a week they're washed — or sprayed, I should say, with a certain chemical. Now and then, the doctor takes one of them away, and Melanie for one wonders where. It's set to get worse before it ever gets better, however. 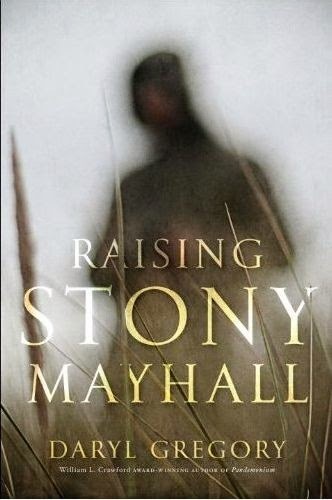 When an immense herd of hungries overrun the compound, only a few individuals escape the fray: Sergeant Parks, Private Gallagher, Dr. Caldwell herself, and Miss Justineau; meanwhile Melanie, who has has only just begun to realise what she is. Who has begun, all of a sudden, to feel her hunger. Together, this motley lot have no option but to make a break for Beacon, where Dr. Caldwell can presumably resume her research, but when their Humvee gives up the ghost, it starts "to sink in that a journey you could do in half a day on good roads has just become a four- or five-day trek through terra completely incognita." 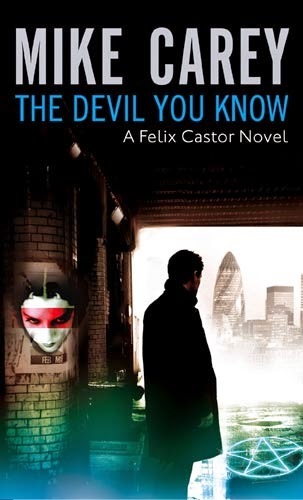 (p.143) Will Melanie, in the erstwhile, be their damnation, or their saviour? Without giving too much of the great game Carey plays away, it's a love story, first and foremost, between a student and her teacher: the touching tale of the relationship between Melanie and Miss Justineau, which is roundly reversed by the end of the text, to tremendous effect. In the interim, Melanie's love is like a lens through which Carey has us view the events of The Girl With All the Gifts. From the innocence of her crush in the clinical facility to the development of more mature feelings as her situation becomes increasingly complicated, subject number one's self-awareness, as well as her awareness of the wider world, very much mirrors our own gradual understanding. Carey charts a narrow path through this poor girl's world, but what we see of it, bleak as it may be, we believe. In large part that's thanks to the author's handling of Dr. Caldwell, whose scientific smarts help to contextualise the biological horrors our survivors come across. Picture spore pillars and cottony forests of colourful fungus; the look and feel of these and the other weird things we see put me in mind of Jeff VanderMeer's Ambergris series. 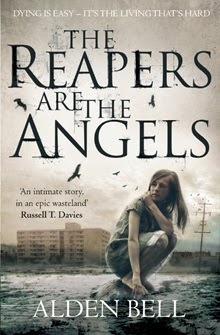 Fans of Raising Stony Mayhall and The Reapers Are the Angels will be most at home, but this massively satisfying zombie novel is as approachable as it is focussed. It has a heart where most such stories have a hole, and a cast of characters that are more than a match for its fantastic narrative. The Girl With All the Gifts' publicity promised an awful lot: it's my pleasure to tell you M. J. Carey delivers on every inch of it. Its really awesome post. I liked it very much. I wish you to write more and more articles like this. Thank you for sharing.